At the end of the week, we resume everything that the cryptocommunity talked about over the past seven days. This week a cumulative cryptocurrency market cap fell below the McDonald's one, the launch of Bakkt platform was postponed to January 24, 2019, and some desperate Chinese miners began to sell their ASICs as scrap. The President of RACIB, Yuri Pripachkin, said that there is no reason for Bitcoin to fall below $ 4,000. Then Pripachkin was sure that falling below $ 4000 is almost impossible, but this option cannot be completely ruled out either. On November 24, Bitcoin closed at $ 3,880 (according to CoinMarketCap). According to John McAfee, "the most influential figure in the cryptosphere," you should not panic because the bear crytpo market is like winter, which is always replaced by a beautiful spring. BTCC co-founder Bobby Lee said he won’t be surprised if Bitcoin falls to $ 3,000. Tom Lee, the "cryptocurrency bull", insists on his prediction of a bitcoin exchange rate of $ 15,000 by the end of 2018 (although this forecast has already been adjusted from $ 25,000 to $ 15,000). Head of Galaxy Digital Mike Novogratz predicts that institutional investors will move from investing in cryptocurrency funds to investing in cryptocurrency directly in the first quarter of next year. According to him, it is then that we should expect "price movements". The CEO of OTC cryptocurrency platform Genesis Global Trading (GGT), Michael Moreau, said that the main reason for the fall of Bitcoin was the exit of large players from the market. 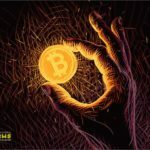 BitPay's commercial director Sonny Singh said that the fall in Bitcoin was a direct result of increased pressure on the cryptocurrency market. 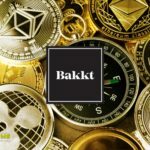 In his opinion, the situation will become clearer at the moment when the Bakkt and Fidelity platforms will use by large investors in a regular mode. If institutional players bet on Bitcoin, the market will grow, and even a coin jump to $ 20,000 is possible next year. According to the representative of Susquehanna company Bart Smith, the Bakkt and Fidelity trading platforms will help to solve the problem of insufficient liquidity of Bitcoin. Due to the recent sanctions of the US Securities and Exchange Commission (SEC), experts express opinions that even more difficult times have come for ICO-startups. 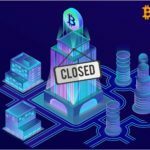 According to the founder of Morgan Creek, Anthony Pompiano, the collapse of the cryptocurrency market can end with the disappearance of crypto funds. According to the Governor of the Bank of Thailand, Virathai Santiprabhoba, the launch of the state cryptocurrency will not allow to completely abandon the use of cash. People will still use fiat money after the release of the official token for at least 3-5 years. KPMG, one of the Big Four audit firms (along with Deloitte, Ernst & Young and PwC), published a new cryptocurrency report on November 15. The document states that institutional investors have to join the industry in order to "realize its potential." According to BitMEX data, the cost of the ongoing “war of hashes” approached $ 11.8 million. So far, Satoshi Vision (BCHSV) suffered heavy losses - only about $ 2.2 million, with a negative profit level of 441 %. A competitor in the face of Bitcoin Cash ABC (BCHABC) suffered losses amounting to $ 1.3 million, with a level of negative profit of 51 %. After a week after the fork, you can confidently say that BCHABC wins in the "war of hash rates." On November 21, the cryptocurrency exchange website (wex.nz) became unavailable due to its blocking by the Domain Name Commission (DNC) because of an investigation into the compliance of domain registration data on the basis of complaints received by the DNC. On the same day, the exchange earned in another domain zone (wex.link). OKEx suddenly and without any warning demanded that traders pay for futures contracts for Bitcoin Cash ahead of time, while their prices were falling. Many traders were furious and called this move by the exchange "unusual and unprecedented." OKEx also announced the launch of its own resource, which will inform customers about cryptocurrency projects. Kraken Exchange confirmed the support of hardfork Bitcoin Cash, but at the same time warned users that Bitcoin SV does not meet the standard criteria for listing on the exchange. Lawyer and trustee for civil rehabilitation Mt. Gox Nobuaki Kobayashi intends to postpone the deadline for submitting applications to the end of December. On November 22, Kobayashi announced that he would ask the court to "accept applications that were filed before December 26, 2018, inclusive." The third largest cryptocurrency exchange company, the Huobi Group, has established a committee of the Communist Party. The committee earned at the end of last week on the basis of the Beijing branch of the Huobi Lianhuo Information Service, as the company reported in a microblog on the Weibo website. According to the CryptoCompare report, in October the average trading volume of exchanges offering deals exclusively in cryptocurrencies reached $ 7 billion a day during this period, while the trading volume of crypto/fiat was only 4 billion. BitMEX accounted for approximately 90% of the total bitcoin futures trading. According to the Chinese media 8BTC, used ASIC devices - Antminer S7, Antminer T9 and Avalon A741 - are being sold at bargain prices because their owners are no longer able to pay electricity bills while working on these machines. More precisely, the miners rent the device as scrap metal, for the twelfth of the original price. The American bitcoin mining company Giga Watt has declared bankruptcy, owing millions of dollars to creditors. The firm filed for bankruptcy in the Eastern District of Washington on November 19, stating that it owed its largest 20 unsecured creditors nearly $ 7 million. The authorities of Norway approved the budget for 2019, in which there are no costs for subsidizing energy tariffs for miners. From January next year, mining pools will pay for electricity at standard rates. After several years of uncertainty, the Indian authorities have finally created a legislative framework for the circulation of cryptocurrencies. The authors of the bill are members of the interdepartmental working group under the Ministry of Finance. The text of the bill and the report will be transmitted to all members of the commission in December. The Chinese government is considering options for accelerating the standardization of the use of blockchain technologies. The relevant proposal was announced at the Ministry of Industry and Information Technology of China. The ministry believes that the standardization of the use of distributed registry technology will lay the foundation for a better development of this industry in the country. At the annual meeting of Interpol, Deputy US Attorney General Rod Rosenstein called for international cooperation in investigating crimes committed using cryptocurrencies. The US Department of Justice is investigating the issue of whether last year’s epic Bitcoin rally was fueled by the popular, but very controversial, stablecoin Tether. 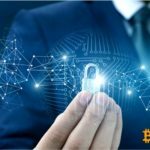 November 19, the manufacturer of hardware cryptocurrency wallets Trezor issued a warning to users, saying that fraudsters create and sell fake devices. A Harvard student hacked the phones of businessmen from Silicon Valley and stole $ 1 million in cryptocurrencies. BTC-E exchange administrator, Alexander Vinnik, arrested last year at the request of the United States, said that on Monday, November 26, he would begin a hunger strike. © 2018 bit.news | queries 239, for 0.630 sec.